One of my favorite thinking spots is under the star filled Caribbean sky. While setting on the bow of a sailboat I have experienced some of my best thinking time. When we are home, early morning walks through the forest near our home is my most productive thinking time. The better question isâ€¦ Are You Thinking? This is an important question because everything that I have accomplished began with a thought. This led me to my personal discovery that our thoughts birth our dreams and our dreams open doors of opportunity. It is the pursuit of opportunities that leads to achievement and success. The Caribbean island we visit each year was discovered first by Columbus who “had a thought”, then a dream that led to opportunity and achievement. So what we are thinking does matter. If you are not thinking then you are just blowing in the wind hoping to end up some place good. 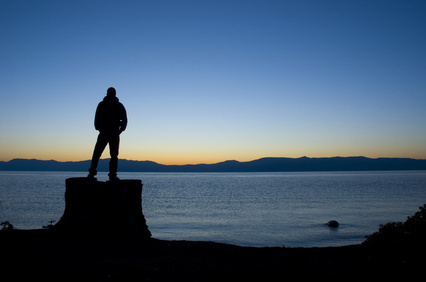 To often individuals have not given a lot of thought about where they want to go on their leadership journey. In other words they are just blowing in the wind hoping they will reach a destination they like. They are reactive in their thinking, what is going on around them creates their thoughts, their dreams and this limits their opportunities and accomplishment. This is why thinking is so important for leaders. As a leader you determine the direction of the team and what opportunities will be pursued. Bodacious leaders spend time in proactive thought, thinking of things and opportunities that are not yet discovered or achieved. They also spend time thinking about what will be done today, because they understand that work and achievement takes place in the present. Bodacious leaders think extraordinary thoughts and therefore have extraordinary opportunities come their way. They understand they will not achieve extraordinary things with ordinary thoughts. Bodacious Leaders are extraordinary thinkers and achieve extraordinary things. 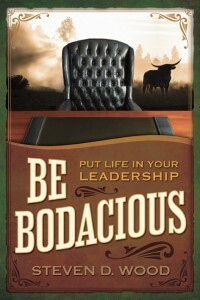 Bodacious Leaders are proactive thinkers and they create what is happening around them. If you want to achieve extraordinary things, if you want to create what is happening around you. Ask yourself these questions. Are my thoughts Reactive or Proactive? Are my thoughts Ordinary or Extraordinary? Bodacious Leaders are thinkers. Be Bodacious, start thinking and you will experience extraordinary accomplishments. If you like this blog read more from Steven D Wood in his new book. Now available at online, or at your local Barnes & Noble or Borders. Also available for your Kindle or Nook.